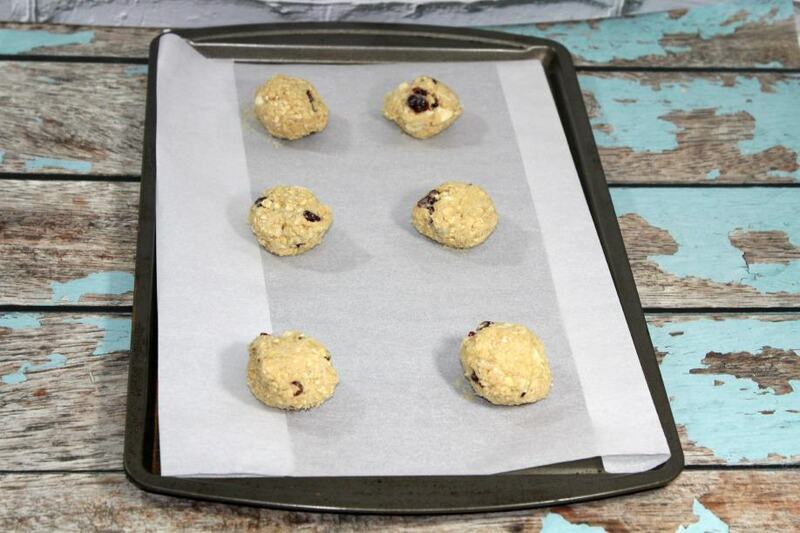 Looking for a fun healthy raisin recipe that steps outside the usual oatmeal raisin fare? I have a treat for you! Don’t get me wrong, I love a good oatmeal raisin cookie. Sometimes, though, I’m in the mood for something a little more exotic! This Oatmeal Raisin Coconut Cookies recipe is the perfect mix of healthy, tasty and out-of-the-ordinary. See how easy it is to make! 1. Preheat oven to 350 F. Lightly grease or line a cookie sheet. 2. 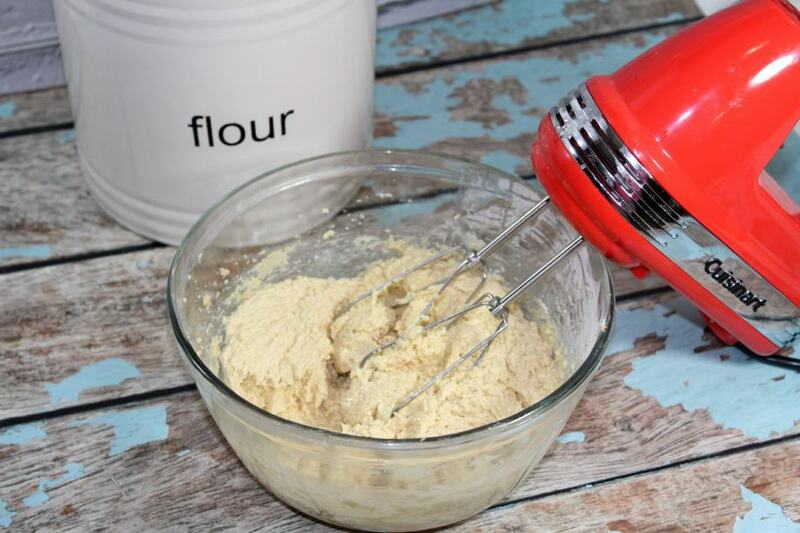 In a large bowl, cream butter and sugar with an electric mixer until light and fluffy. 3. Begin to add eggs, mixing well. 4. 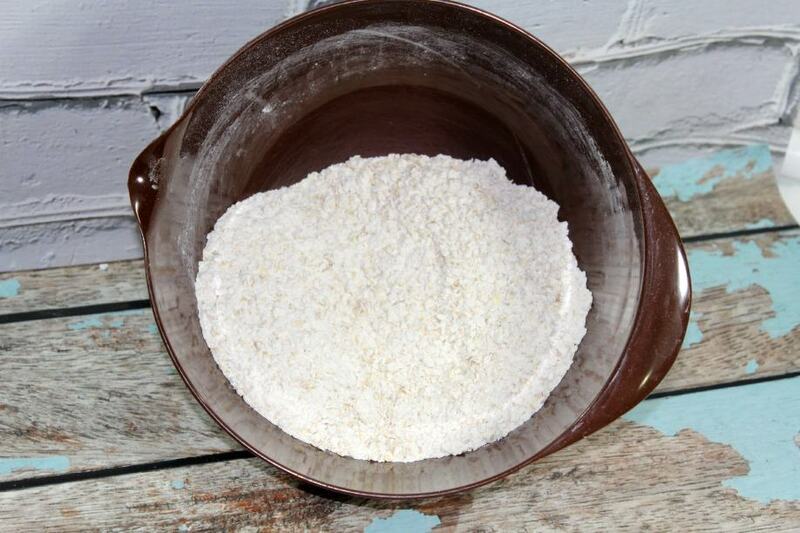 In a separate bowl, lightly stir the oats, flour, baking soda, and salt. 5. Now slowly add the dry ingredients to wet ingredients, mixing well. 6. Once the batter is mixed stir in raisins and coconut. 7. I then use a tablespoon to scoop out the dough onto the prepared baking sheet lightly rounded the cookie dough into a ball shape pat to flatten slightly. 8. Bake in the oven for 8-10 minutes, until lightly browned on the edges. 9. Let cool for a couple minutes on the pan, then remove cookies to a wire rack to cool. 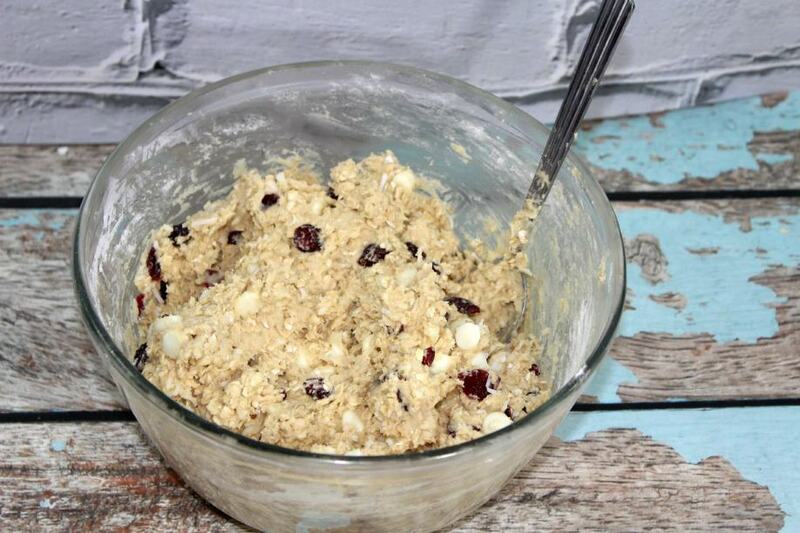 See how easy it is to make a healthy raisin recipe? They’re so moist, chewy and delicious that everyone will be asking for more. These are perfect for serving with milk for the kids and tea for the grownups. Looking for more healthy cookie recipes? Try our Crepe Cookies! Do you have a favorite healthy raisin recipe? Share it in the comments! Ive always been an oatmeal raisin fan but Ive never tried it with coconut. Sounds amazing. love a good Oatmeal cookie! I really like the added coconut. thanks for the recipie! I would eat anything with oatmeal! But I can do without the butter and brown sugar! 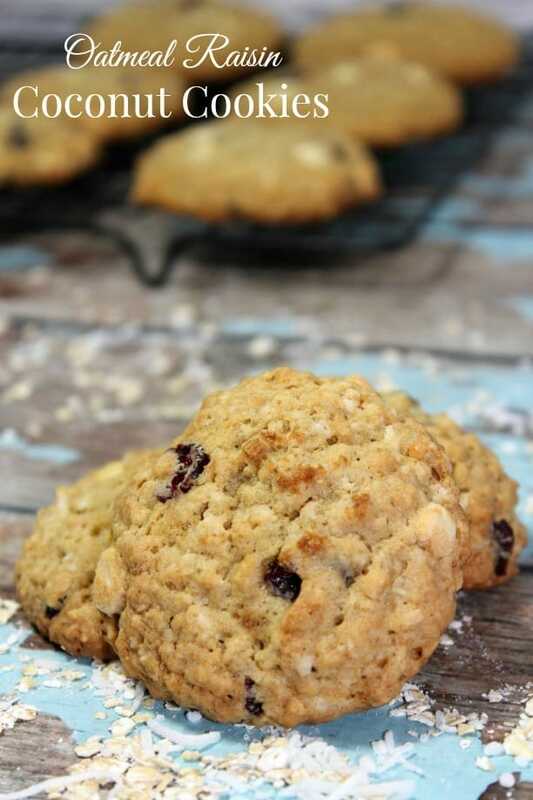 I love oatmeal raisin cookies and this version sounds delicious! YUM! I bet my daughter would really love these! Thanks for the recipe! Yummm! Looks delicious! Thank you for sharing! Oh, these look so good! I have to make them. I am going to go make these right now!!! YUM!!! Yum! These cookies sound amazing. Can’t wait to try them. I heard a girl said she wasn’t a fan of raisins & to try chocolate ships & I say add chocolate chips too. Boy that would be a mouthful huh? And yummy!!! Looks so delicious and so yummy, though I love cookies big time I have not yet had oatmeal ones. Thanks for the recipe. I love Oatmeal Raisin Cookie but I’ve never thought of adding coconut to it. It must make it more delish! These look so good! 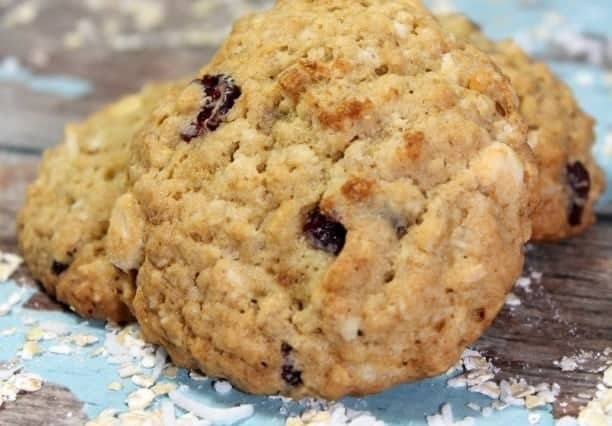 I love oatmeal raisin cookies but have never had them with coconut, I will have to try these. I love oatmeal raisin cookies. The kiddos will stay out of those because of the raisins. However, the hubby will eat them before I get a chance to. The secret weapon would be the coconut because he is not a fan! Finally a cookie that is mine all mine! What a healthy cookie recipe! My kids would love for me to make this for them. These cookies look delicious!! I love oatmeal raisin cookies this is a great twist on the classic! Those look so yummy! I’m a huge oatmeal raisin fan, so I can’t wait to give these a try. Thanks! I’m reading this. I’m hungry. And now I’m starving. These cookies look so good and include one of my favorite ingredients – coconut. Yum! I need to make these. Mmm raisins and coconut. I love oatmeal raisin cookies! I’d love to give this recipe a shot! I want to try this recipe,,it looks really yummy. I know that my kids will love them. Oh yum! I love that you added coconut to these.They sound really good. Now This is an Epic Pregnancy Announcement Video!